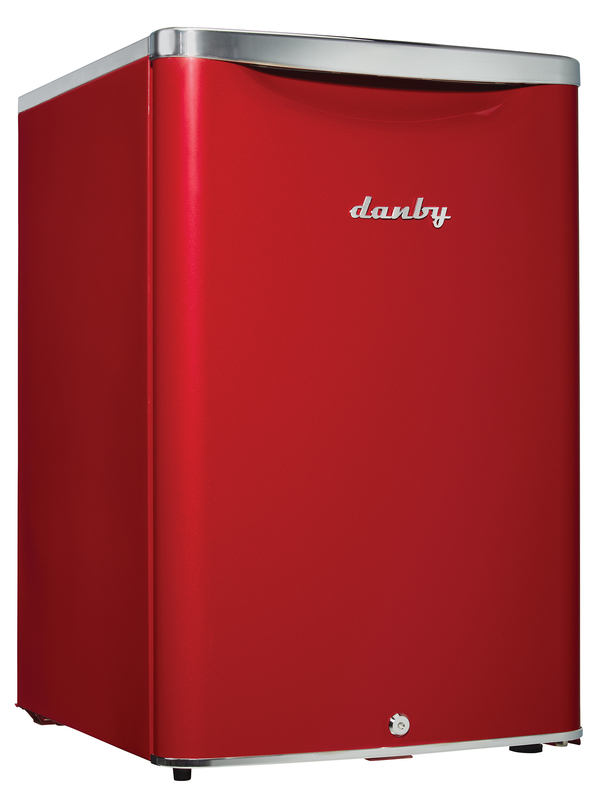 Drawing inspiration from mid-century styling and simplicity, Danby’s patented Contemporary Classic collection of compact refrigerators reimagine retro for the modern consumer. 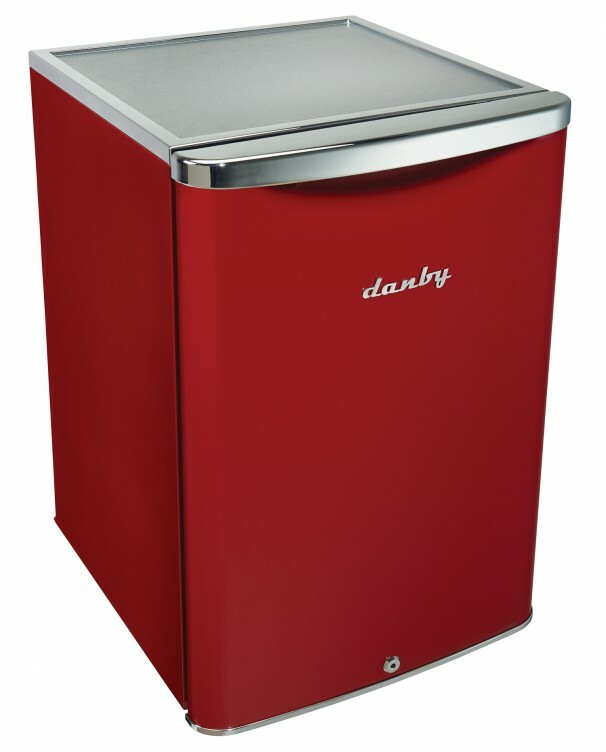 Featuring Danby’s exclusive retro-inspired curved door design, metallic door and chassis finish, door lock, rubber-grip ergonomic chrome handle and stylized chrome worktop, its exterior features are only outmatched by its signature black interior. 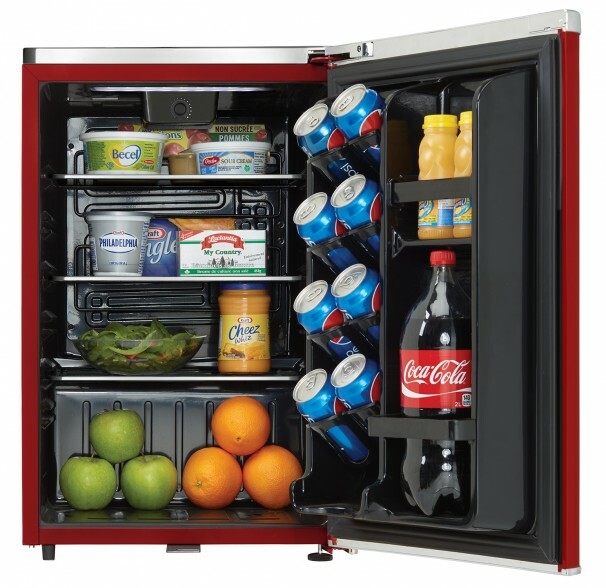 Boasting 2.6 cubic-feet (73 liters) of storage and cooling space, it features two and a half chrome-trimmed tempered glass shelves for maximum storage versatility. 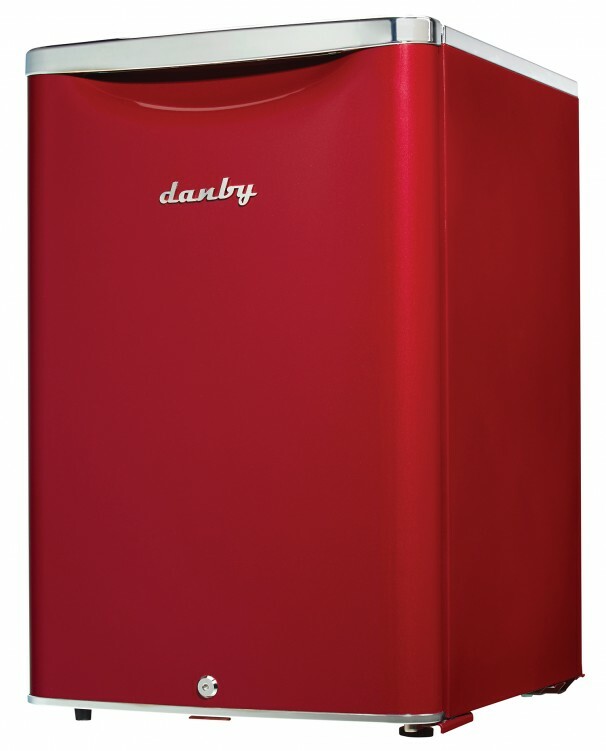 There’s more than enough room for larger bottles and the spacious unit helps keep electricity bills in check with its Energy Star rating and state-of-the-art mechanical thermostat. Maintenance and cleaning are as simple as can be with the automatic defrost system. It also includes an efficient CanStor beverage dispenser and reliable interior white LED light. 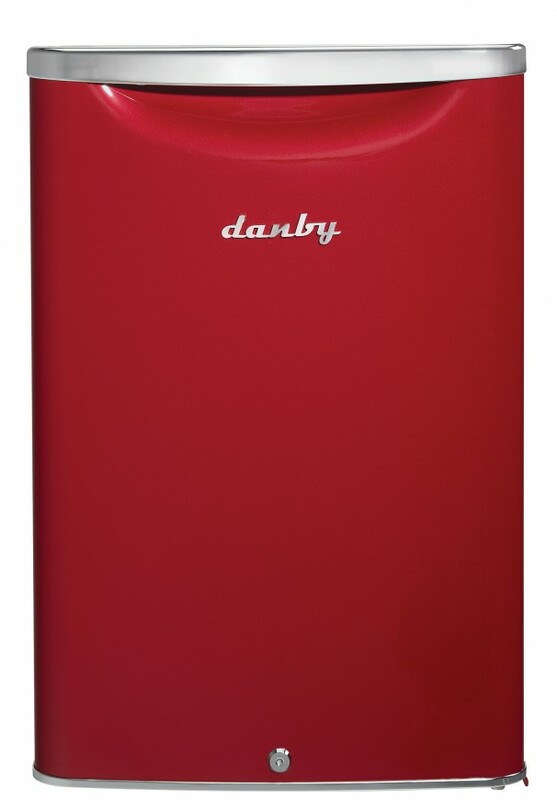 This model is built for convenience as the reversible door hinge allows you to adjust it for either left or right-handed opening.